Ciao from Venezia! I was unable to make an entry last night due to the fact that I spent the day out and about roaming in Rome and the evening wandering the streets of Trestavere. I wanted to spend my last day in Rome farther away from the tourist attractions and closer to the authentic, Roman Italy. I walked down the street from where my hotel was and found the beautiful Piazza Navona. There, I was the target for more selfie-stick vendors and stopped for lunch at a beautiful outdoor restaurant. As if Rome knew it was my last day there, the weather was absolutely splendid and picturesque. 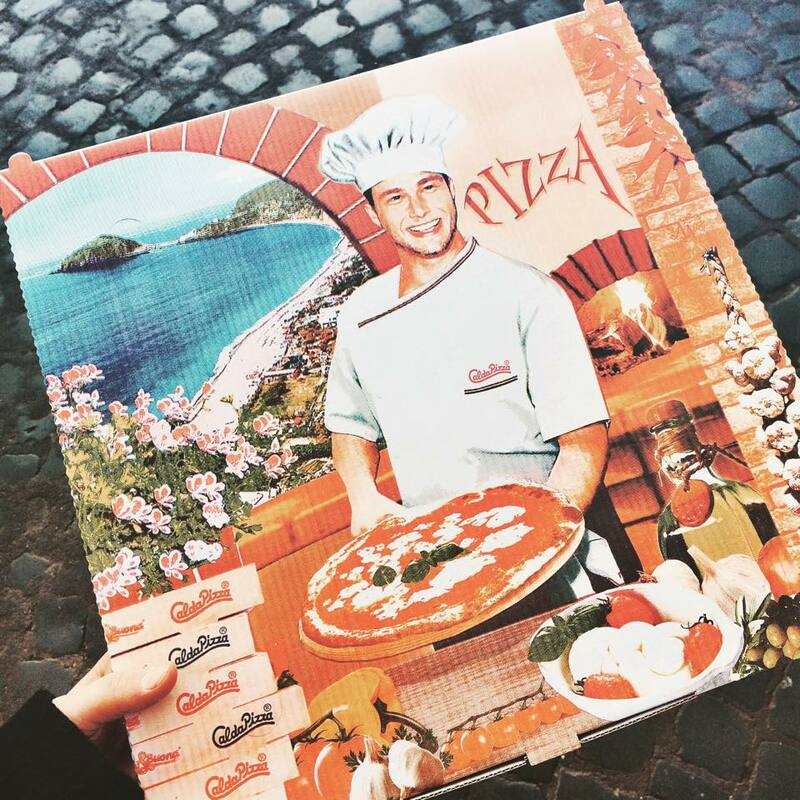 The cutest pizza box from my lunch in Rome. I took this photo using a selfie-stick in Piazza Navona. The hotel bartender, Mario, which my friend and I enjoyed several conversations with, shared with us the attraction that is Trestavere. 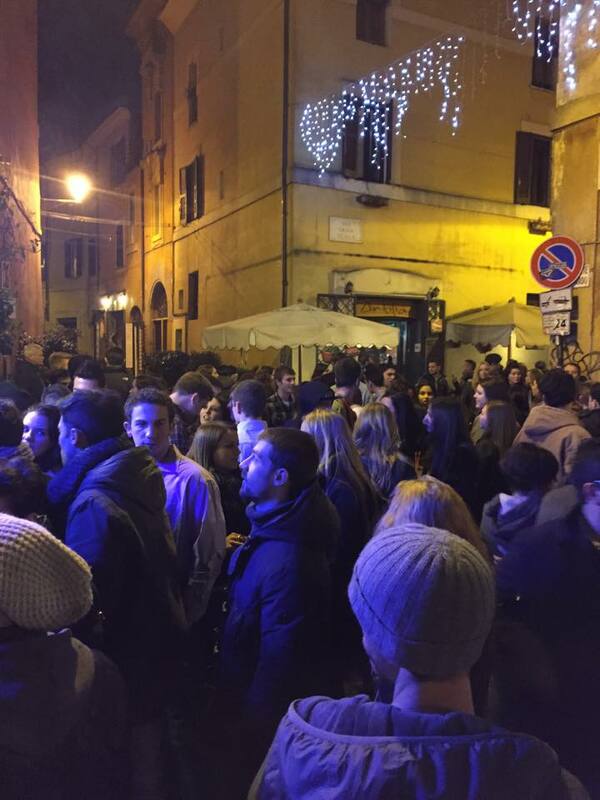 At night, Trestavere is transformed into a open-door, open-bottle policy bar district. Just after two minutes in the district I managed to spot the single bar that was absolutely packed with study abroad students. After wandering the streets some more, I had the revalation that I certainly do wish to study abroad at some point in my college career. If not in Rome, than in the beautiful city of Barcelona. I had a late night and conclusively an extremely early morning as I had to catch a train to Florence at 8am today. One of the most popular bars in Trestavere. 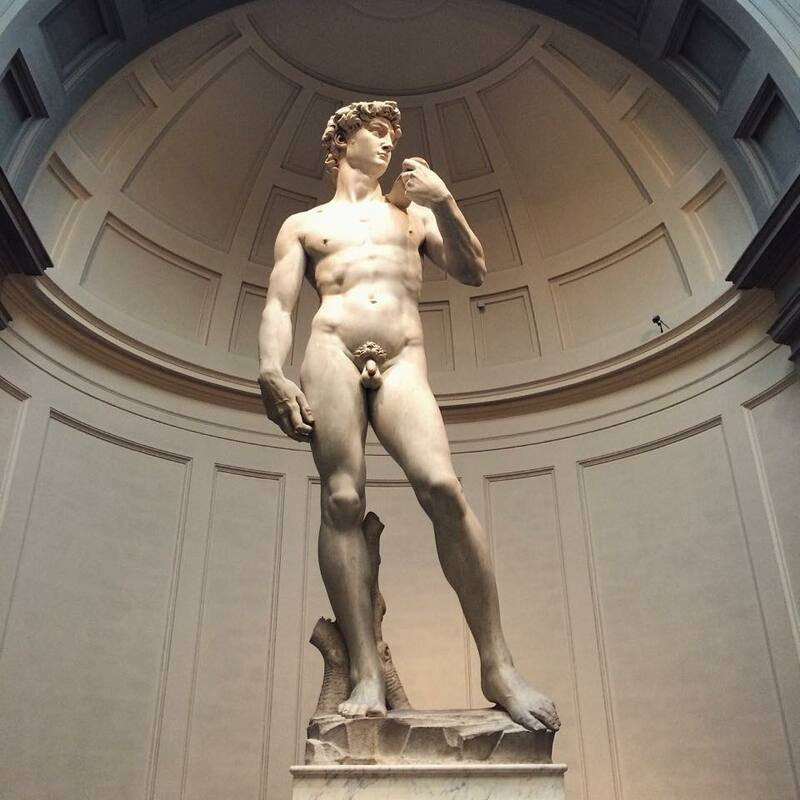 Today I travelled to the beautiful city of Florence, saw the perfectly sculpted David, strolled through the Firenze streets, and finally boarded a train for Venice. I’m now in the water driven city of Venice and am typing this blog post from the hotel computer on Internet Explorer (with only Italian spell-check, an Italian keyboard, and curious onlookers in the lobby). 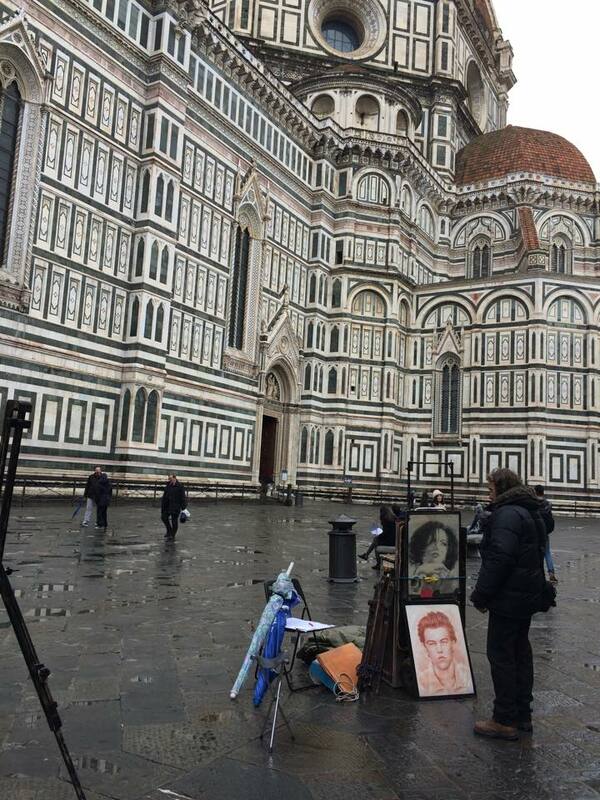 A local street artist in Florence sketching a portrait of my favorite actor, Leonardo DiCaprio. This is what perfection looks like, Michelangelo’s David. 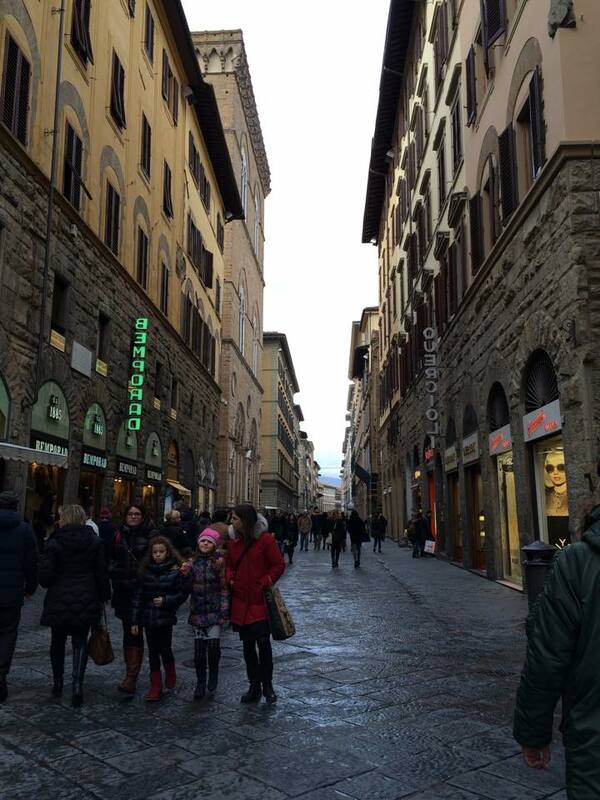 Wandering the beautiful streets of Florence, Italy. For the remaining days that I will be in Italy, I have decided that Im going to minimize my blogging to photo-blogging for the sole purpose of maximizing the time that I have here. But I won’t let you down, I plan on uploading as many photos as the Venetian WiFi allows me.